Moderna and Merck & Co have expanded their partnership to develop and commercialise novel personalised messenger RNA (mRNA) cancer vaccines. 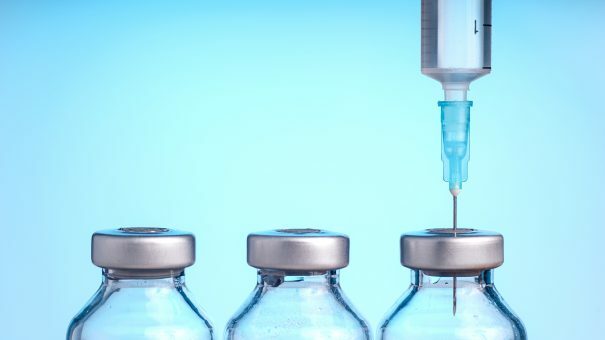 This expansion of their 2016 collaboration will include shared antigen mRNA cancer vaccines including mRNA-5671, Moderna’s mRNA KRAS cancer vaccine. KRAS is one of the most frequently mutated oncogenes – a gene which, when mutated, can turn normal cells into cancerous ones in humans. It occurs in approximately 90% of pancreatic cancers and 30% of non-small cell lung cancer (NSCLC), where they are associated with worse outcomes. KRAS is so called because it was first identified as an oncogene in Kirsten RAt Sarcoma virus. Under the extended agreement, Merck will be responsible for the clinical development of mRNA-5671 and associated costs while Moderna will be responsible for clinical supply and allied costs. Stephane Bancel, Moderna’s chief executive officer, said, “We are excited to build upon our productive relationship with Merck and to rapidly advance our novel mRNA-based KRAS cancer vaccine into the clinic. The collaboration is the fourth between Merck and Moderna in the past three years. Under the 2016 personal cancer vaccine (PCV) agreement, Merck made a cash payment to Moderna of $200 million to discover and develop individually tailored cancer vaccines for patients across a spectrum of cancers through proof of concept (early clinical drug development). Keytruda (pembrolizumab) was granted a priority review by the US Food and Drug Administration in April this year. The filing for immunotherapy drug, Keytruda, seeks approval for its use in combination with chemotherapy drug pemetrexed and platinum chemotherapy (carboplatin or cisplatin) as a first-line treatment for patients with NSCLC. The FDA will make its decision in six months instead of the standard 10 months. Keytruda is shaping up as a blockbuster, having generated $1.46 billion in sales in the first quarter – more than doubling from the previous year. It eclipsed sales of Merck’s diabetes drugs Januvia and Janumet, which made $1.42 billion in combined sales, also exceeding analysts’ estimates.